Adding balance training to your training regimen can help improve your overall performance in basketball and can be used to help your refine certain skills. Additionally, balance training can be used to help prevent and rehab common injuries in basketball. How balance training can help you get better at basketball. Coordination is defined as the ability to use different parts of the body together smoothly and efficiently. Balance training is another way to train your coordination, the more in tune you are with your body, the more efficiently and gracefully you will move, leading to better performance in basketball. Balance training gives you a way to practice how to react quickly and make the correct movements to adjust being off balanced. This will help to improve your agility and reaction time. Balance training can be combined with repetition training to help refine a particular skill. One example of this would be to stand on a balance board and practice taking shots. This will assist the athlete to become more conformable shooting the ball when put in unbalance situation as wells as make shooting the ball feel easier when not in a unbalance situation. Balance training can be used to help reduce falls. Often when put off balanced you will react instinctively and correct the situation or take a fall. When put into these off balanced situation you do not have the time to move your body to rectify the situation consciously, your body and mind go into auto pilot, and you have to hope for the best. Balance training helps train your body/mind to automatically correct its self when put into these off balanced situations, so you are more likely to catch your balance then take a fall. Youth athletes have to readjust to their changing bodies regularly. From year to year or even month to month, their body's are constantly changing, with every change their coordination and balance get throw off, they have to quickly adapt to their new body to maintain and continue to improve their basketball skills. Balance training throughout all of these growth spurts will help the athlete to readjust to their changing body's so then can maintain and enhance their balance and coordination. Balance training for the prevention and rehabilitation of sprained ankles. Sprained ankles are one of the most common injuries in basketball. Recovering from a sprained ankle requires you to stay off the foot as much as possible, this can cause a loss of strength in the ankle as well as a loss of balance skills. This loss in ankle strength and balance will make it more likely to injury the ankle again, and you may see a decrease in performance in your basketball skills. Once cleared by a doctor balance training can be used to help strengthen the ankle back up and bring your balance skills back to normal. One of the symptoms of receiving a concussion or traumatic brain injury is a reduction in coordination and balance skills. Some athletes do not realize their balance and coordination have been compromised after having received a concussion. If these issues are not addressed the athlete will be more likely to receive another injury because the athlete goes into a game thinking they can perform like they always have, but their body may not react and move as they are accustomed. Balance training can be used to help recover the balance system and coordination after having received a concussion. If balance training were implemented before a concussion is received, you would have established a record of your balance skills. This will make it easier to tell if the concussion has effected your balance system or coordination and take corrective action if needed. There is a community of people who have received brain injuries that have reported that balance training has helped to ease some of their other symptoms associated with brain injuries such as trouble concentrating or depression. One theory is that balance training stimulates the brain, and this stimulation of the brain helps the healthy parts of the brain to take over some of the functions of the damaged areas of the brain. Keep in mind this only a theory and has not been proven with science, but I believe anything is worth a shot when there aren't too many treatment options for concussions or brain injuries. How to get started balance training for basketball. Bodyweight balance training for basketball. Bodyweight balance training is a perfect place to start because no special equipment is needed, and it is safer than using other types of balance training equipment like balance boards. I think some time should be spent working on achieving a high level of body weight balance skills before moving on to using balance equipment to help to reduce the chance of taking falls when using these tools. The two types of bodyweight balance training are static and dynamic. Static bodyweight balance training in when you hold your body in one pose that will challenge your balance for a particular length of time. An example of this can be seen in yoga pose. I put together a playlist of all the standing yoga balance poses, you can get stated balance training by pickinga few of the easier poses and see how long you can hold them for, once you can hold a pose for 2 minutes move on to a more challenging pose. Once these poses are no longer challenging you can practice doing these poses on a balance cushion or balance pad to continue to challenge yourself. Dynamic bodyweight balance training is when you are moving from position to position at a fairly quick pace. An example of this be seen in agility drills or yoga flows. Using balance training equipment is a good way to continue to challenge your balance skills once you no longer find doing body weight exercises to be difficult. Balance training with equipment can be used to improve your overall balance, coordination and agility as wells a working on specific skills like ball handling or shooting. When working with a balance board to improve your balance you can just stick to basic moves like rolling back and forth, and squats, I do not think it is worth the risk of sustaining an injury by practicing advanced tricks like jumping and board flipping. A good thing to look for in balance training equipment is the ability to adjust how challenging the product is to use. 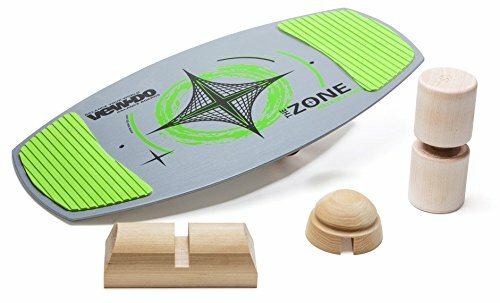 This will make the board safer to use when you first begin and will allow you to keep on pushing your balance skills without having to buy many different products. The vew-do zone is an excellent choice because it changes into a few different types of balance boards depending on what device you place on the track under the board. Vew-do also sells more challengers rollers that can be used with this board so you can keep on challenging yourself. The dimensions of this board are 29.5 inches long, the board is tapered with it being 17 inches wide in the middle, 10.5 inches wide at nose/tail. The Indo board pro is an extra large balance board. The dimensions are 42 inches long by 15 inches wide. 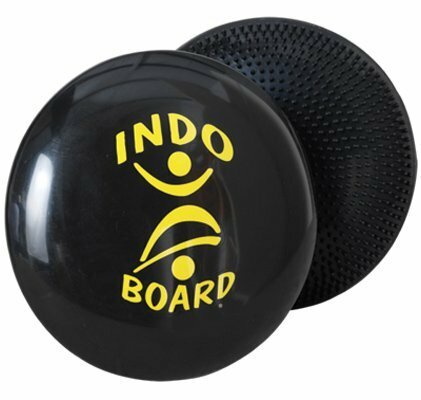 The indo board pro is another excellent choice that allows you to adjust how challenging the board is to use. 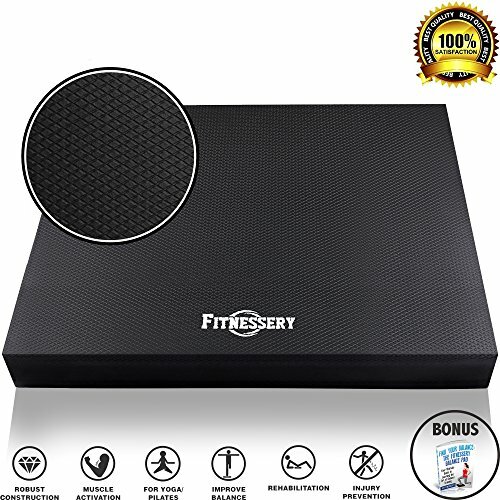 This package comes with an extra large balance cushion measuring 24 inches across that you can use with the board or on its own to get started balance training. You can adjust how challenging the cushion is to use by how much you inflate it, the more air you put in, the more challenging it will be to use. So what board should you choose? I think the vew-do zone board would be the best for youth, junior and maybe even high school level basketball players due to the size and value of the board. These boards allow you to progress from a beginner to expert level by using the different types of devices under the board. 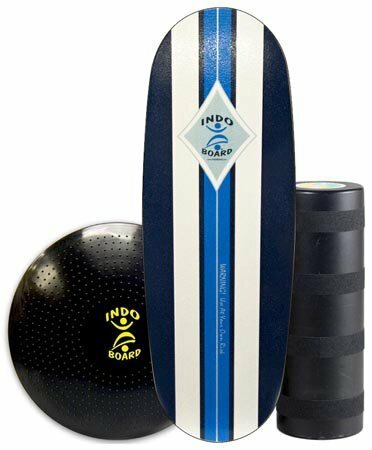 The large size of the indo board pro is better for anyone over 6 feet tall, the larger size of the board will allow tall athletes to use the board with a more comfortable and functional stance. Combining skills training with balance training equipment. Note you do not need to use the exact balance equipment featured in these videos, you can perform these drills with any balance training equipment. Please help to support this site by sharing this guide with your friends, teammates, coaches, social media or relevant site. I would love to hear your experience with balance training below, what type of drills do you do, have you noticed any improved performance during game time, whats your favorite balance training related youtube videos?